Sports Mole provides team news, predicted lineups and a full preview of the FA Cup fourth-round tie between Manchester City and Burnley. Olympiacos announce that Yaya Toure has mutually agreed to leave the club, three months after joining as a free agent. Manchester City boss Pep Guardiola in no rush to sign new midfielder? Manchester City boss Pep Guardiola is reportedly in no rush to sign a new midfielder and is prepared to wait until the summer to add to his squad. Manchester City maintain interest in Lyon midfielder Tanguy Ndombele? Manchester City are reportedly still considering a January offer for Lyon midfielder Tanguy Ndombele, despite the player having recently penned a new contract. Sports Mole looks ahead to Saturday's Premier League clash between Manchester City and Fulham, including team news, predicted lineups and a full match preview. West Ham United boss Manuel Pellegrini insists that the Hammers did not make a move for Yaya Toure this summer. Manchester City consider move for Paris Saint-Germain midfielder Adrien Rabiot? Manchester City are reportedly considering a January approach for Paris Saint-Germain midfielder Adrien Rabiot. Sven-Goran Eriksson compares Yaya Toure to Zlatan Ibrahimovic by claiming that the midfielder would not sign for a club unless he was sure that he could do the job. Arsenal closing in on Yaya Toure signing? Arsenal are favourites to sign former Manchester City midfielder Yaya Toure after his agent confirmed that his client has passed a medical at a London club. Barcelona turn down the chance to re-sign experienced midfielder Yaya Toure, according to a report. West Ham United boss Manuel Pellegrini rules a move for former Manchester City midfielder Yaya Toure. Manchester City boss Pep Guardiola suggests that he is no rush to sell Oleksandr Zinchenko this summer. Pep Guardiola: Yaya Toure discrimination comments "were lies"
Manchester City manager Pep Guardiola defends himself against claims made by Yaya Toure that he 'treats African players differently'. West Ham United considering offer for Barcelona midfielder Rafinha? A report claims that West Ham United are ready to pounce for Barcelona's Rafinha after Inter Milan were priced out of a move for the £30m midfielder. West Ham United reportedly open talks with former Manchester City midfielder Yaya Toure over a reunion with Manuel Pellegrini at the London Stadium. Manchester City midfielder Kevin De Bruyne insists that he has seen no evidence of discrimination from manager Pep Guardiola following allegations by Yaya Toure. Pep Guardiola refuses to comment on allegations from Yaya Toure which accused the Manchester City manager of having an agenda against African players. Yaya Toure's agent claims that he is prepared to allow the midfielder to play for the Premier League's top six clubs for £1 per week. Yaya Toure accuses Manchester City manager Pep Guardiola of not liking African players while discussing his treatment of the midfielder. Yaya Toure claims that Manchester City manager Pep Guardiola was "jealous" of him and that some of the midfielder's teammates ended up "hating" the Spaniard. Paul Pogba believes that Abou Diaby is a better all-round midfielder than him, citing his compatriot's injury problems as the reason he is not more highly regarded. Marseille reportedly consider recruiting Premier League pair Marouane Fellaini and Yaya Toure. West Ham United manager Manuel Pellegrini reportedly rules out signing free agent Yaya Toure this summer. Manuel Pellegrini is reportedly interested in taking Phil Foden on loan from Manchester City, as he prepares to shape his West Ham United side. Experienced midfielder Yaya Toure insists that he chose the right time to end his stay at Manchester City as the Ivorian looks forward to his next career move. Croatian midfielder Lovro Majer wanted by Manchester City? NK Lokomotiva midfielder Lovro Majer is reportedly an £8m target for Manchester City, having previously been linked with a move to Scottish champions Celtic. Sports Mole's countdown of Arsene Wenger's top 10 signings from his Arsenal career continues with number eight - Kolo Toure. Raheem Sterling earns a recall for Manchester City's trip to Southampton. Manchester City boss Pep Guardiola reveals that he will only be looking to sign 'one or two players' during this summer's transfer window. Sports Mole provides predicted lineups, team news and a full match preview of Manchester City's trip to St Mary's to face Southampton. Manchester City break several Premier League records in a 3-1 win over Brighton & Hove Albion at the Etihad Stadium on Wednesday night. Yaya Toure names 'b*****d' Nemanja Matic as his greatest ever opponent, having faced the Serbian midfielder against both Chelsea and Manchester United. 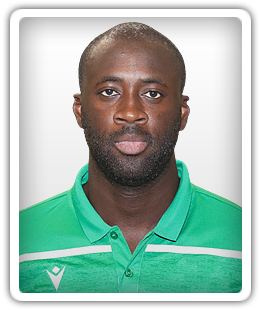 Manchester City rename academy training pitch after Ivorian midfielder Yaya Toure, who will depart the club this summer. Relive Sports Mole's blow-by-blow account of Manchester City's record-breaking 3-1 Premier League win over Brighton & Hove Albion at the Etihad Stadium. Wolverhampton Wanderers want to sign Manchester City midfielder Yaya Toure ahead of the 2018-19 Premier League campaign, according to a report.